"There is no assurance that your daughter will survive even if we performed an operation." that's the dreadful statement that the doctor conveyed to Efren de los Santos, father of Elizha Mae, after the Kasai procedure (surgical treatment for Biliary Atresia) was done." A week after Elizha was born, Efren noticed that her daughter was unusually yellowish. As often advised by pediatricians, newborns should be exposedto early morning sunlight to avoid this to happen. He followed this advice, however, Elizha's skin did not return to normal. Her Tummy also began to bload. When Elizha caught cough and colds, Efren brought to her a doctor fo a check up. That was when they started to discover her true condition. The doctor's advice was to immediately have Elizha undergo ultrasound, which in turn showed that her liver was enlarged. It was concluded that Elizha had Biliary Atresia, a rare disease characterized by a biliary obstruction of unknown origin that presents in the neonatal period. This condition leads to cirrhosis and death within the first years of life. Elizha had gone through operation but still her liver continues to enlarge. Her doctor said that her chance of survival is still "50/50". She was under observation and continues medication. Her conditioin never stabilized. She became a regular of the hospital, frequently coming in and out. There was even a time that she had to stay in the Intensive Care Unit due to her worsening condition. Star Ruby Vicky Altea, a friend of ELizha's aunt, Elsie Gales, learned about the situation and invited them to visit Ms. Pam Ignacio of DXN Sta. Rosa Service Center. Desperate to alleviate the condition of her niece, they brought Elizha to the center. Elizha was already a year old then but she can't speak, walk nor stand yet. She was "really" malnourished. At the center, Ms. Pam introduced DXN. She expalined the health benefits that DXN products offer. Eager to ease the suffering of Elizha, her family started giving her RG_GL - half a capsule each everyday on the first week then gradually increasing up to 12 pairs on the weeks that followed. Alternately with milk, they also fed her Cocozhi, Roselle Juice and 2 tableets of Spirulina daily. They also bath her with Ganozhi body foam for her dry skin. 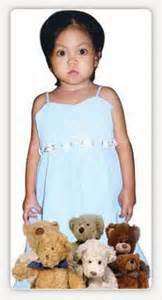 When Elizha's consumption reached 5 pairs of RG-GL a day, she became weaker and she suffered from high fever. Immediately, Efren and Elsie brought her back to Ms. Pam - They thought of discontinuing consumption of DXN Products. Ms. Pam, however managed to encourage them to go on with Elizha's regimen. They followed with faith that indeed soon Elizha will recover. Within six months, progress can be seen. She began to walk and talk. Her stomach shoed signs of recovery although, it was still relatively large. Eventually, she became active and signs of malnourishment waned. Even her doctor was amazed of her recovery when they had a follow-up checkup recently. When Elsie revealed to the doctor that they discontinued Elizha's medication and substituted DXN food supplements instead, the doctor even encouraged them to go on with what Elizha has been taking. She had undergone another ultrasound, citi-scan and other tests but they no longer see any abnormalities especially with he rliver. Though it is still a bit enlarged, the doctor said that she will eventually flush out the toxins. And the best news is: she doesn't have to have her liver transplanted anymore. Currently, Elizha maintains taking 4 pairs of RG-GL with other food supplements of DXN " We never let a day pass without her taking any DXN product," Elsie noted. Elizha's parents and aunt want to express their gratitued to the Lord for guiding them to DXN, to Ms. Vicky who had been instrument to this, to Ms Pam Ignacio who shared her knowledge of the products, and to DXN's Founder and CEO Dato' Dr. Lim Siow Jin.